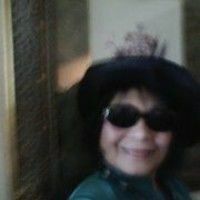 I'm Madia-as Digdigan Buenaflor, a screenwriter, from Thousand Oaks, California. Please visit my website: http://www.maber60.com. I've posted three of my manuscripts: (1) "TWIN SOULS" - A feature-length screenplay, on spec, with WGA, West reg. # 1094728. Experience the wonders of astral travel. (2) "UNDOCUMENTED FIRST PREFERENCE" - A feature-length screenplay with WGA, West reg. # 1481004. Follow the saga of the homeless heart. (3) "THE BLOOD OF THREE" - A novel on spec with WGA, West reg. # 1094729. Read and feel the futility of war...the emptiness of victory...the greatness of love. A feature-length screenplay based on my novel is in progress. You may also find me at IMDB and Face book. Contact info: mdb720@gmail.com. Thank you. Wishing you all the best!